NAHREP seeks to celebrate and acknowledge the accomplishments of the association's members and Latino agents from across the county. 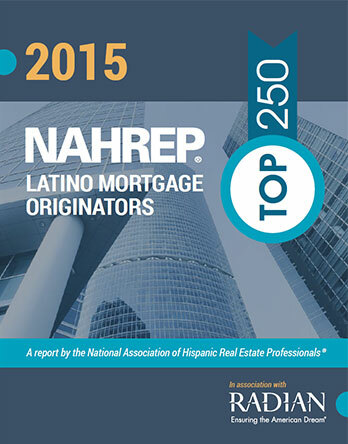 With the inception of the Top 250 Latino Mortgage Originator award in 2015, the list has given the association the opportunity to recognize the dedication and hard work that goes into creating sustainable homeownership for Latino families in our communities. The group of top producers represents a total of 33,345 closed mortgages and $8.19 billion in mortgage sales. Wells Fargo topped this year's report for the third consecutive year with the most individuals recognized on the list, followed by New American Funding and Quicken Loans. 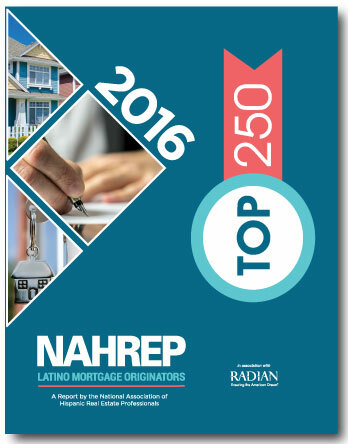 The report includes lists recognizing the Top 100 from among the non-depository lenders nominated for the award and the Top 100 by volume. This year's group of top producers represents a total of 32,783 closed mortgages, $8.1 billion dollars in closed mortgages, and 50 different companies. Their success is a demonstration of the growing influence of Latinos in real estate, both as a profession as well as home buying consumers. 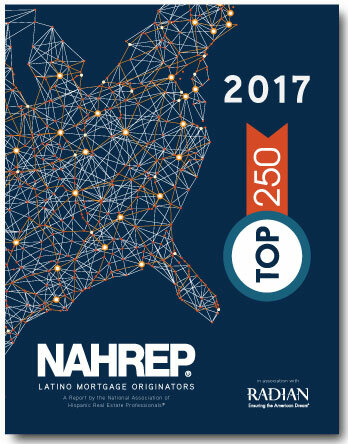 NAHREP expanded the Top 250 award program to include a separate report honoring the mortgage originators who service Latino families in our communities. Driven by self-nominations, the report highlights hard-working individuals from across the country who together closed 22,711 mortgages in 2015.